Broomfield, Colorado, — Near Space Corporation , a commercial flight test provider supporting NASA’s Flight Opportunities Program, is proud to announce a major upgrade to the Johnson Near Space Center in support of the new collocated Tillamook UAS Test Range. The $1.4 million dollar upgrade utilized grants from the State of Oregon, to provide essential infrastructure and key range personnel to further the testing and integration of unmanned aircraft. The upgrades provide a unique instrumented range that encompasses both low and high altitude airspace for the testing of unmanned technologies outside of restricted airspace. The infrastructure includes upgrades to the Operations Control Center with new ground stations, secure data servers, local radar/ADS-B coverage, range video & communication systems, SODAR, high altitude sounding system, GPS Simulator, and other specialized test equipment. The grant will also support the hiring of a full time Test Range Manager and Range Safety Officer to allow NSC to support more customers. The Johnson Near Space Center, located at the uncontrolled Tillamook Airport on the Oregon coast, first began operation in the spring of 2013. 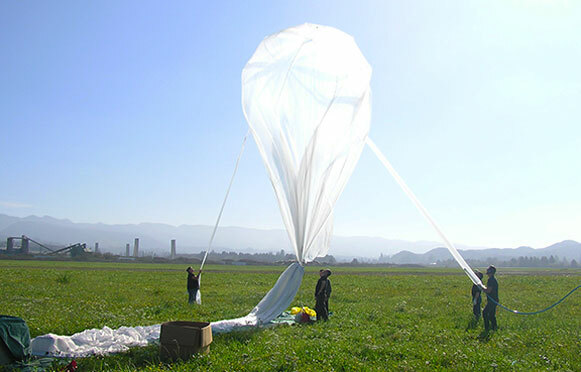 The center was custom designed to facilitate NSC’s high altitude balloon flight testing that it conducted for both government and commercial entities. The state of the art balloon facility houses NSC’s engineering, production and flight operations, and includes a large integration hangar and dedicated control tower, as well as a 100 acre launch area. The Tillamook UAS Test Range became operational in November of 2015, as part of the Pan Pacific UAS Test Range Complex, one of the six special FAA designated UAS Test Sites. The upgrade will allow NSC to competitively address the emerging UAS test flight market and increase the number of flights at the Tillamook UAS Test Range along with supporting unique high altitude (up to 130kft) flight tests of unmanned balloons, drones and hybrid aircraft. The combined operations of the Johnson Near Space Center and Tillamook UAS Test Range offers a truly unique state of the art flight test facility, instrumented range, access to a wide array of testing environments, professional range support, and the ability to provide expedited flight approvals for testing of unmanned technologies. Though NSC has been performing balloon and UAS operations from Tillamook for customers such as NASA for almost 20 years, this major upgrade will allow NSC to offer a truly unique flight test environment and dramatically increase our capability and capacity to support new commercial customers. In addition to our past emphasis on high altitude flight testing, we are establishing the Tillamook UAS Test Range as a center of excellence supporting testing and training with unmanned technologies for Disaster Response and Public Safety applications.